Have you ever wondered what happens after a superhero saves the day in your local town? He or she goes back home, happy the battle was won while us mortals are left with a huge mess and feeling insecure to whether or not it’s safe to go outside again. Well, who better than a security company to take care of everything, right? This, of course, is the premise for Powerless, an upcoming new NBC comedy starring Vanessa Hudgens, Alan Tudyk, Christina Kirk, Ron Funches and Danny Pudi. The new sitcom, set inside the DC Universe, will revolve around Emily Locke (Hudgens), Director of Research & Development for Wayne Security whose job is to create products that make us (normal) humans feel safe in a world filled with superheroes and supervillains, all this alongside her co-workers Teddy (Pudi), Ron (Funches), Jackie (Kirk) and her evil new boss, Del (Tudyk). To be honest, I’m really looking forward to watching this show. Sure, it’s yet another superhero series, but for the first time…they are not the center of the show. For once, we get to see the other side of the coin, getting to know the people responsible for cleaning up and making sure the average Joe doesn’t get hit by a falling car (or subway) during a battle. Plus, working in a subsidiary of Wayne Enterprises couldn’t be that bad, right? 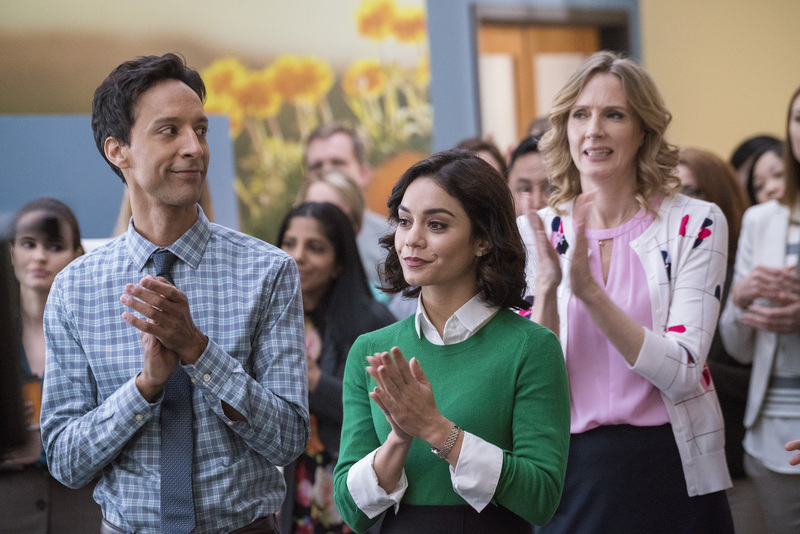 Powerless, created by Ben Queen, premieres on February 2nd at 8:30 pm on NBC. Watch the trailer below and let us know what you think in the comments!